Facebook has friends. Twitter has followers. LinkedIn, on the other hand, has connections. Should You Use LinkedIn Premium? An add-on to a free LinkedIn account, LinkedIn Premium can up your game considerably and is ideal for those who utilize LinkedIn for serious networking. However, LinkedIn Premium isn't for everyone. If you have no plans to apply for jobs, send messages, or explore profile visitors, these benefits may be a costly investment rather than a boost to your career. The recommendations section on LinkedIn can be very valuable but it isn't something you can fill out alone. Recommendations can only be provided by others in your network and, in general, they don't happen spontaneously. A testament to your abilities from others in your network can do a lot for your reputation, especially when it comes to key skills in your industry. After all, saying you're great with a particular software is one thing, but seeing testimony from others can validate what you're able to do to outsiders. If you're in need of recommendations, these steps can help you build out this vital area of your profile. Many LinkedIn users see their profiles as fancy resumes that show up in a Google search rather than a dynamic web presence. As such, many users go weeks, months, or even years without updating the content on their pages. However, LinkedIn is still a social media site, and that means that activity is expected (if not necessarily required). Your network on LinkedIn relies on the connections you make with others, and that means staying active and attracting attention. ​Much like Facebook or Twitter, it's possible to share life events, articles, updates, and more on LinkedIn. In order to keep your network engaged, do your best to post compelling, relevant content as often as possible, whether your own or from reliable industry sources. From infographics about work life to market research, there are plenty of options to choose from. Make sure your activity is "on," though: without this feature, the only one to see your updates will be you! Content marketing is a big part of effective social media use, and the right approach can do wonders for your web presence. By sharing impactful, valuable content that your audience will greatly appreciate, you can easily establish yourself as a leader in your industry. This means careful focus on content creation and curation, however, ensuring that everything you share is meaningful as well as convenient. Learn more about content marketing and check out social.selective.com for free, shareable clickable content. Check out Selective Social's digital toolbox to learn more. The summary and experience sections are among the most critical on your LinkedIn page, giving you a way to highlight what you do and why you're worth hiring. However, inexplicably, many professionals leave these critical fields blank. Check out these examples of different types of summaries. 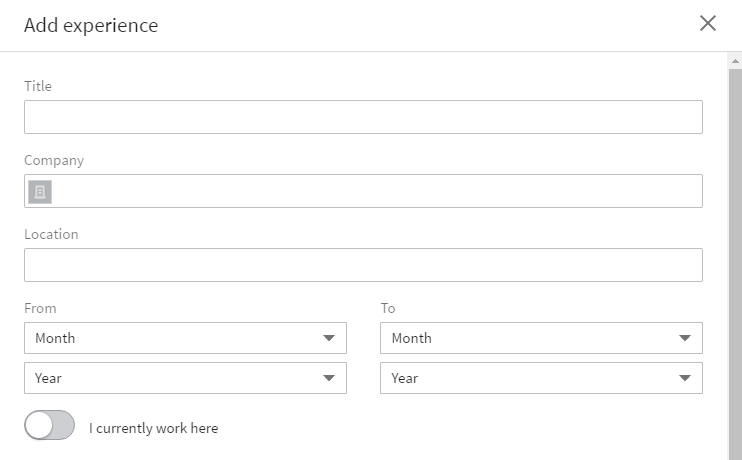 The experience section should read more like a traditional resume. But don't just copy and paste your resume. You should include the companies you have worked for, the job titles you have held, and the things you have done in your career. Remember, your job descriptions should include what you have accomplished versus what you did on a day-to-day basis. Clients will care more about the $1 million in sales you were able to generate than your use of Excel. Like most social media pages, LinkedIn provides a way for you to customize the basic information available about yourself, including your name, URL, and headline. As a professional network, your LinkedIn name shouldn't be anything cutesy or casual; instead, you need to make sure your profile reflects the name you go by professionally. 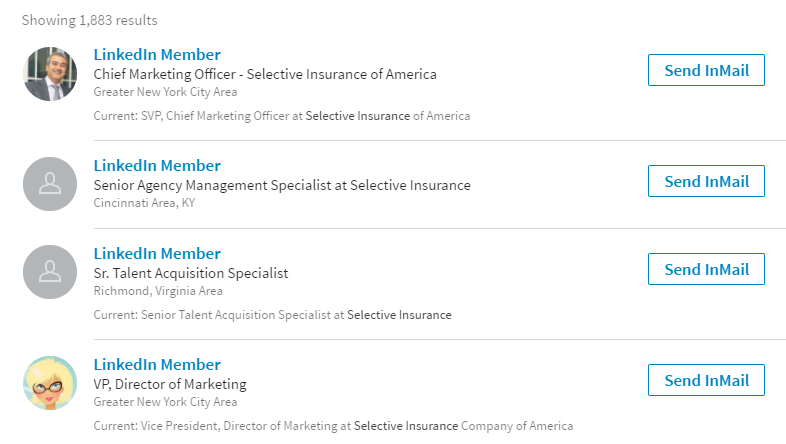 As a rule of thumb, put whatever you would normally use on your resume on your LinkedIn page. 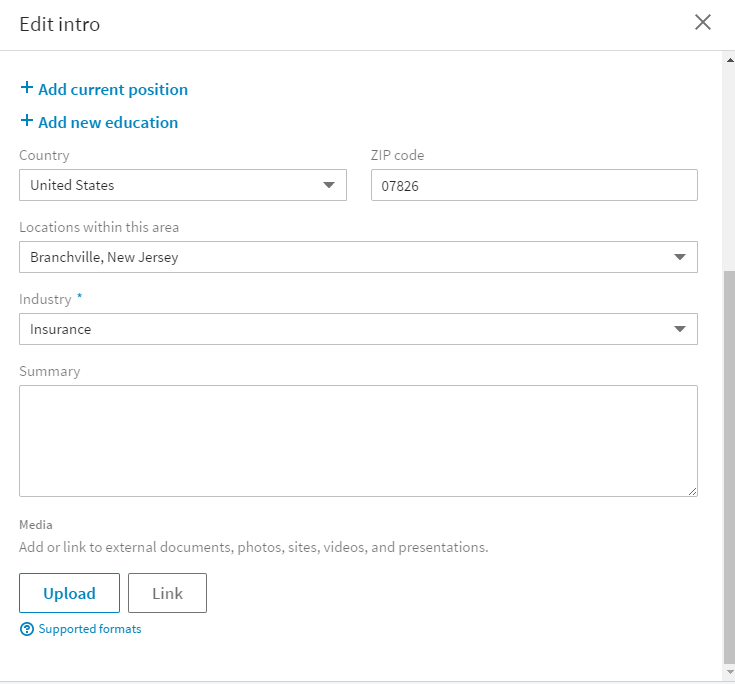 Your LinkedIn URL is also customizable; simply click on "Edit your public profile" to the far right to choose something a little more personal. With up to 30 characters to use, you can make your URL pretty much anything you want. Your full name is the best possible option for your URL. But a name that includes a middle initial or professional certification, like “firstnamelastnameCPA,” can help you stand apart.​ Still no options? Consider adding your zip code or birth year. Just be sure to leave off unprofessional nicknames! Most social media users associate pictures with more youth-friendly platforms like Instagram and Facebook, but this is a common misconception. Photos absolutely make a difference on LinkedIn, especially when it comes to building out your profile. LinkedIn now offers a few different opportunities for customization, but your profile picture is most important. Without a great image, you'll likely go unnoticed in comparison to your competition. In fact, LinkedIn profiles are 14 times more likely to be seen with a high-quality profile picture. LinkedIn isn't the place for your fun college photos or your family reunion pictures, however. ​ Want to step up your game? LinkedIn provides a way to add a background image that can enhance your approach to branding. As with your profile picture, be sure to stick to something neutral and non-objectionable, like a landscape, a geometric pattern, or a job-related graphic. While the preset background isn't bad, a custom image looks much better.